We are sick of hearing blokes who think yoga is only for women… this is far from the truth. This course will expel that myth. This SIX week course is designed specifically for men. 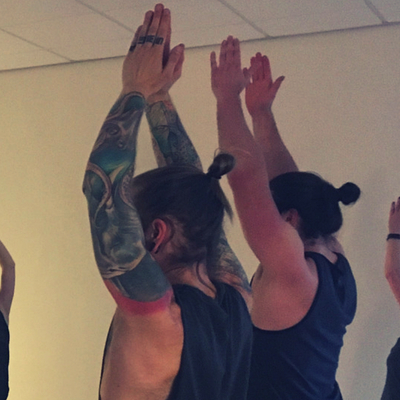 If you have been considering starting yoga but feel intimidated because you think it’s only women, or you don’t feel flexible enough, or perhaps you’re worried you’ll look a bit daft… then this course is for you. We will break the myth that yoga is for women, and that you have to be flexible to try it. You’ll learn sun salutations, basic standing, seated and upside down poses as well as specific breathing exercises. 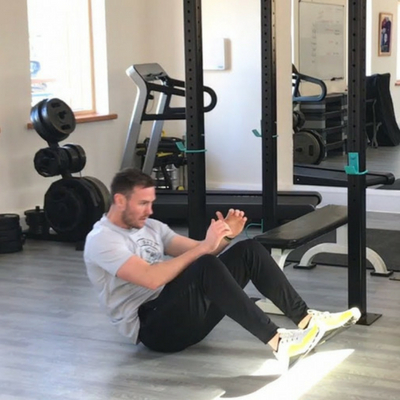 We’ll work on those tight hips & hamstrings as well as the shoulders. You might sweat, you might even swear. You will increase flexibility, strength & stamina. This course is intended to help you feel confident enough to join a general class after the 6 weeks. 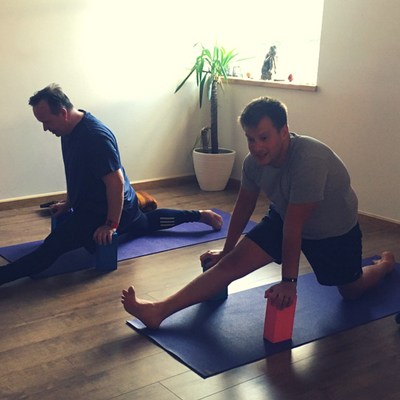 I started my yoga journey with Zoe at Blooming Bamboo at Yoga for Blokes. Super fun, good company. I have continued my yoga practice at several follow on classes and now regularly attend a class every week which has improved my fitness and flexibility. Give it a go fellas. Highly recommended! I have thoroughly enjoyed working with Zoe and have found her to be patient, knowledgeable and guiding as she has led classes and given advice 1:1. I didn’t truly understand what yoga was aside from what I’d seen – so to have someone guide you from the fundamentals, supporting each step of the way has been truly invaluable. I would encourage people who want to start or continue their journey to try Zoe as I found it to be exceptionally helpful. I have begun practising! As with all our classes and workshops, booking is absolutely essential and we do expect this session to be popular so early booking is recommended.